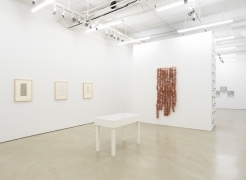 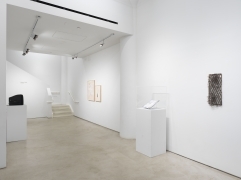 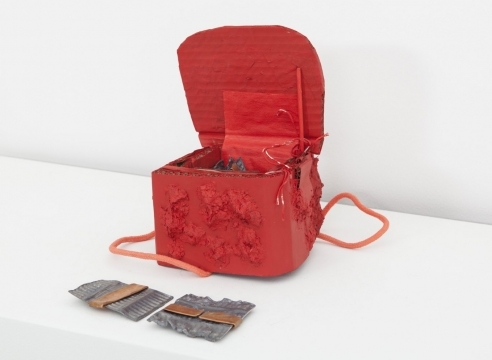 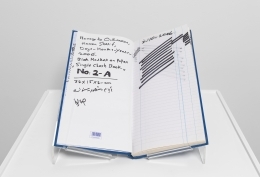 Alexander Gray Associates presented Hassan Sharif: Semi Systems, the Gallery’s fourth exhibition of work by the artist (b.1951, Iran – d.2016, Dubai, United Arab Emirates). 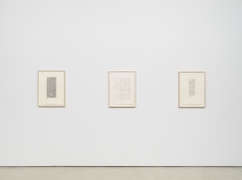 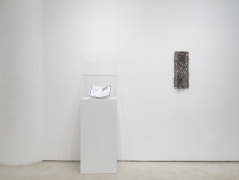 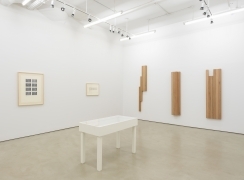 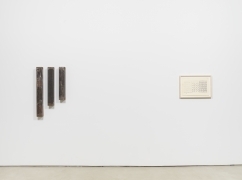 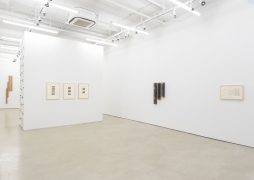 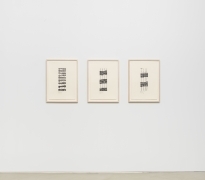 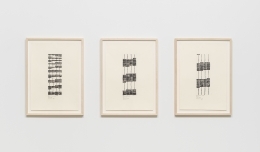 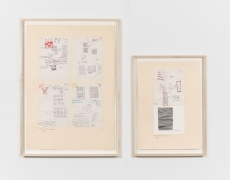 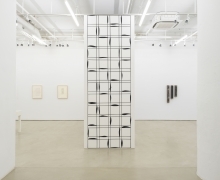 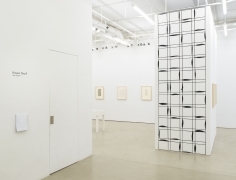 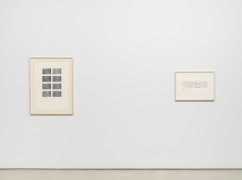 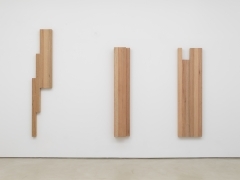 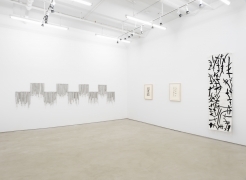 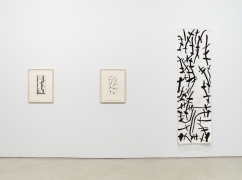 Focused on Sharif’s use of the grid, geometry, and repetitive gesture, the exhibition includes work in a variety of media made as early as 1982 until his death in 2016. 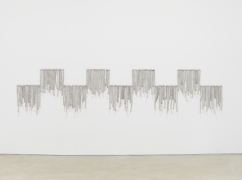 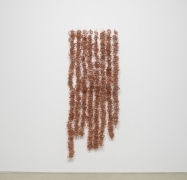 During his studies in London in the early 1980s, Hassan Sharif became exposed to and engaged with conceptual artists, which prompted him to selectively embrace and reject strict tenants of abstraction and automatic form; chance and play. 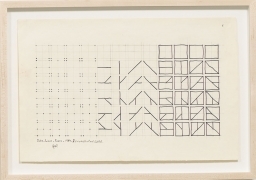 These motifs along with a fascination with mathematical calculations and permutations led him to begin methodical yet absurd performances which he called “Experiments.” On his return to Dubai in 1982, these performances would develop further, taking place for an audience of the camera, in studio urban and desert settings. 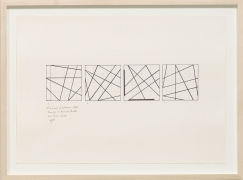 On view are six documentary images of Drawing Squares on the Floor Using a Cube (1982) in which the artist traced a pre-existing sculptural cube onto the ground in a grid pattern, ultimately creating a larger drawn square that echoes the shape of the traced object.